In February I was sent a bottle of Amarula with a recipe for macaroons. I stuck the recipe onto my fridge as the filling was something I knew I was going to make. It is sucrose free and sounded divine. I have been so busy since then that I have not had the time to do anything with the recipe. 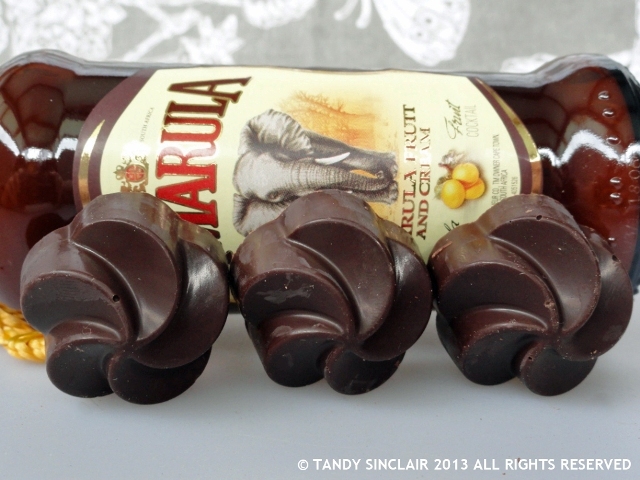 But as soon as I got invited to enter the Amarula gifting inspirations competition I decided to make the Amarula dark chocolate filling to put into a chocolate cup to make a really decadent bon bon. These are seriously rich and seriously moreish and I am glad I only made 4 for the test round. The reason I only made 4 is because my brand new candy mould broke the first time I used it. I was not impressed as I chose what I thought was an expensive mould to make the bon bons and I had to cut off a third of the mould and throw it away. What a waste. I say that I made a test round. They were meant to be the only batch I made, but I was not happy with the end look. In fact, the first batch had to be scraped out of the mould as they did not pop out like I expected them to – this is when the mould broke. And the second batch did not fit nicely into the box I chose, and I had to use spray and cook to get the chocolates out of the mould and they did not look attractive. I will not share with you what my friends called them! It was only after Dave and I had tasted them that I decided to make a third batch using the little gold cups I have for truffles. However, the little gold cups were not sturdy enough and so I went out and bought a really expensive silicone mould and it worked! I am really happy with the look, and the taste of my bon bons. I would like to give a bottle of Amarula to my friend Celia. She has inspired me to create home made chocolates and my first batch I think are worthy of a thank you. I would give her the bottle of Amarula together with some of my Amarula bon bons so that she could see how her inspiration has followed through into creation. I hope Celia is the lucky recipient of a year’s supply of Amarula. Not only has she inspired me to make my own chocolates, but she has also kick started my love affair with sourdough, and I am having the time of my life creating recipes using my sourdough starter, which she sent me. Wow they look fantastic – another thing I’ve never tried, tempering chocolate – I usually just eat it straight! But I can imagine these would be worth waiting for. This was worth the effort for sure! Thank you Juliana – and have a great weekend! Such gorgeous chocolates, so cute! I’m going to have to hunt this down. Looks like we are all hooked on this chocolate bug,thanks to Celia. I just made a roasted hazelnut slab – very nice indeed. Yum, that is a good idea! Glad you persevered as they look and sound gorgeous! These are so impressive looking!! 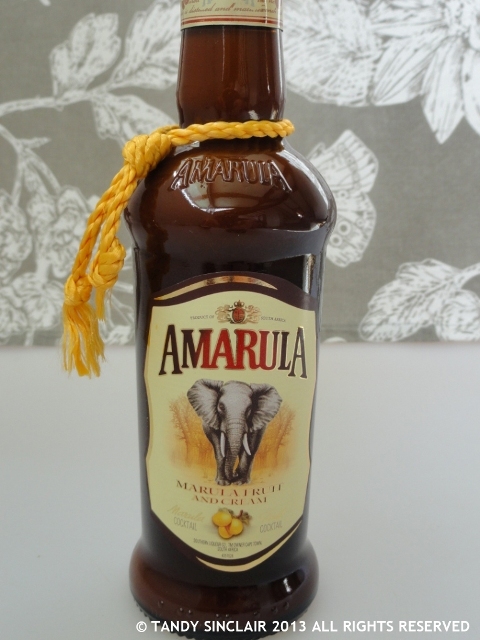 I’ve never had Amarula before, but it sounds delicious! Your bon bons look like they’re straight from a chocolatier! Kudos on your tenacity Tandy – the end result was well worth it. Oh Tandy, they look divine!! and yes, Celia is certainly a most deserving participant! Thanks Lisa 🙂 I hope I win! WOW, they came out really well in the end. Great photo.